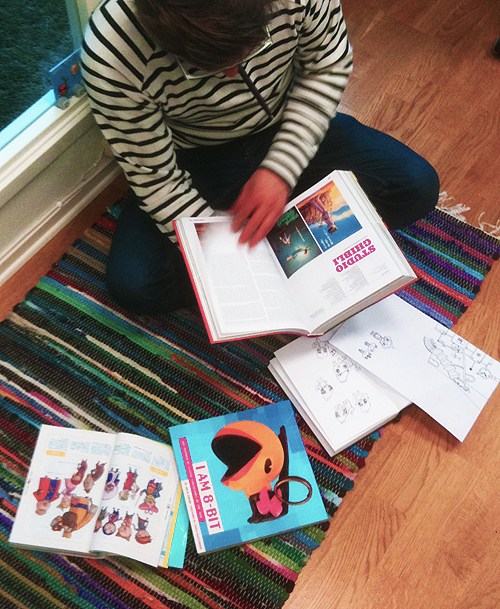 Sometimes it’s nice to get away from the computer and get inspired by art books. Today there will be none of this silly thing they call “work”. 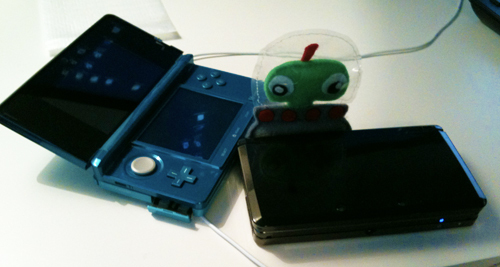 The 3DS is here! Just scan those QR codes in the Mii Maker to get your own Simon and Gordon Miis! And if you are here for Bumpy Road news we can tell you that everything is going according to plan. We’ve been adding new secret cool stuff that’s not in the trailer. 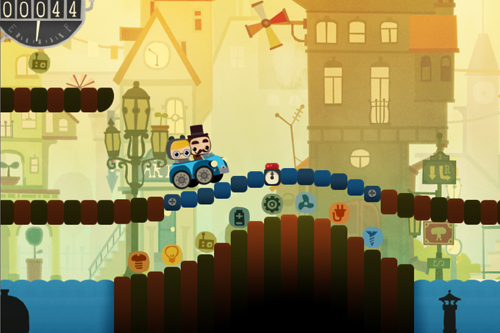 Kosmo Spin – Swedish casual game of the year! So we took this little trip to Stockholm to go to dataspelsgalan. 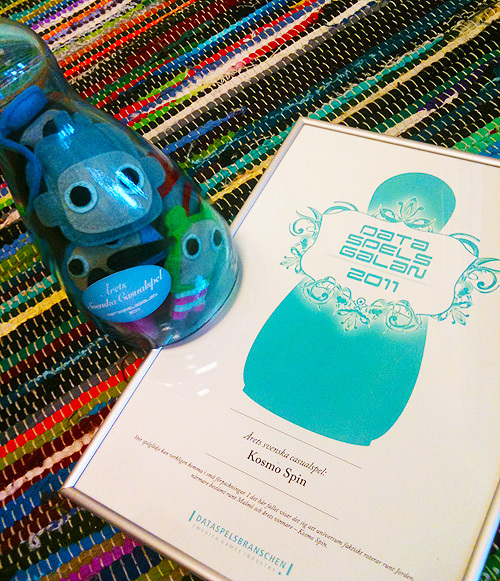 A very nice evening, met lots of nice people and most importantly – Kosmo Spin won Swedish casual game of the year. Yeah! Help Japan, get a game. In the wake of the recent devastating earthquake/tsunami in Japan, Appsjp.com and iPhonegamerUK have teamed up with a lot of game developers to spread the word about donations. Follow Appsjp or/and iPhone Gamer UK on twitter and retweet their message about donations, and you’ll get the chance to get a free game. For the money you save you can make a donation. 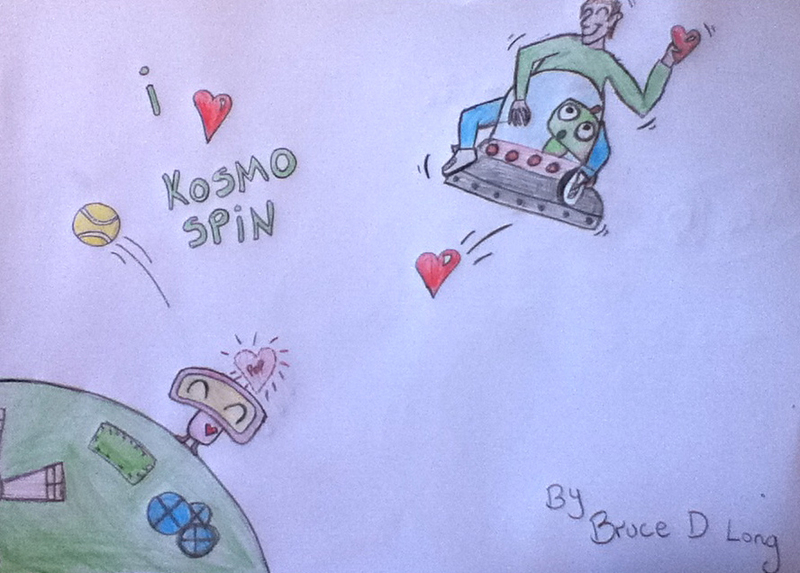 One of the games you can get for free is Kosmo Spin. These lucky persons have won themselves a fine little fuzzy Nod. 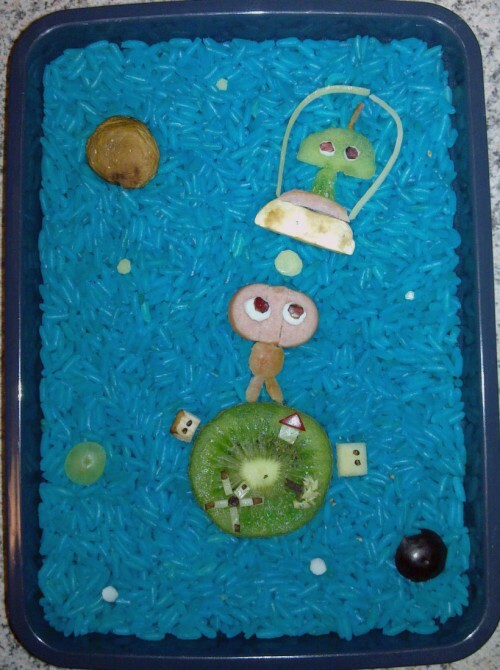 Tomas made this fantastic Kosmo Spin bento. Clipart cartoons – Why aren’t there more of those? 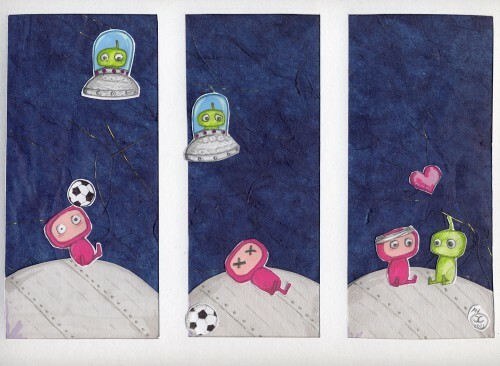 Ida made this and we love it. So, In collaboration with Loading we present the last winner. Thanks to everyone for the contributions! 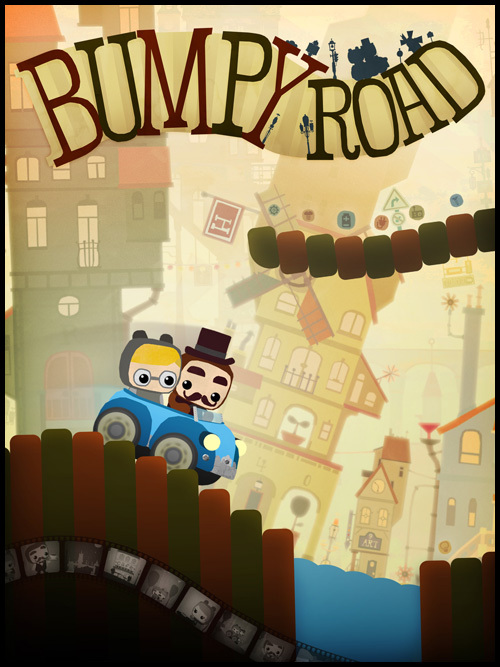 Bumpy Road – screen and links! That thing called the internet went a bit crazy over our new game. Busy days! Today is International Women’s Day. Don’t forget to celebrate the ladies of the world. To all women from Simogo: Keep on being fantastic. 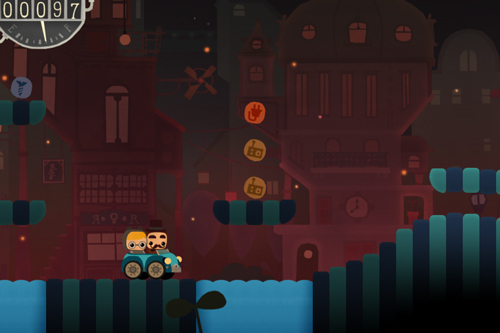 Bumpy Road – A love story on four wheels for iPhone, iPod Touch, iPad and Mac! So what is Bumpy Road? It’s a game and a story about a loving couple in their autumn years that decides to go for a ride in their car, just like in the old days. You can change the landscape and create bumps by touching the screen, to bounce the car around. So it’s kind of a platformer, but not a platformer at all. 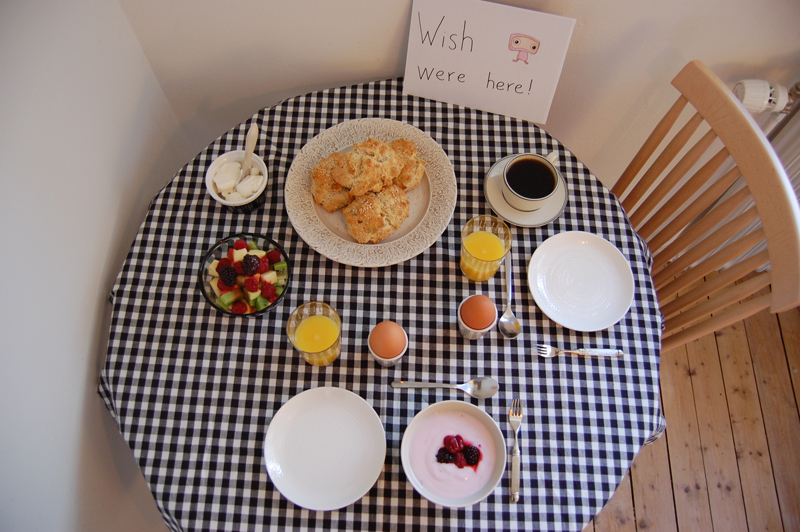 Or something like that. Anyway – It’s lots of fun and we hope you will think so too. This time we’re also including more of a story element… But more on that at a later date. 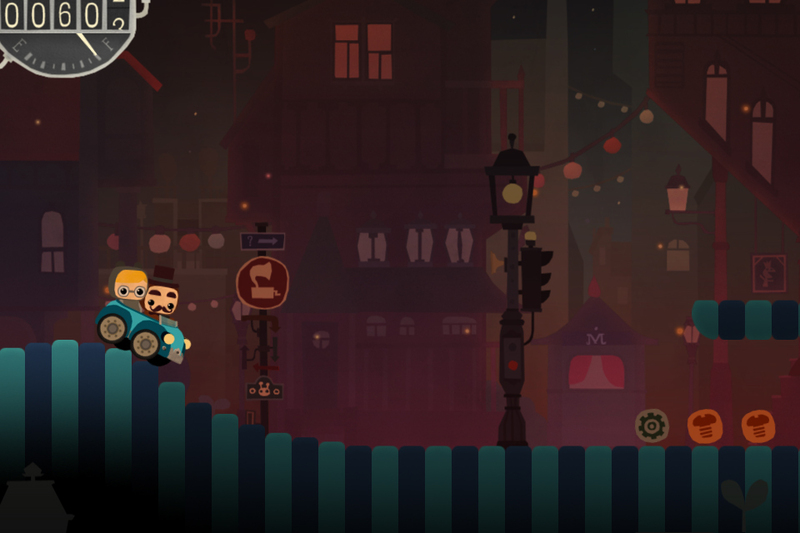 Click here to head over to the game’s minisite to read more and check out some screens! Just a little reminder for our “I Love Kosmo Spin Contest”! Show your love for Kosmo Spin in a creative or fun way! How? We’ll that’s for you to come up with. Make a Kosmo Spin painting, take a photo of yourself in your Nod cosplay dress, make a Kosmo Spin fan game, sing a tribute song, name your first born Nod, choreograph your own Kosmo Spin dance – You name it! Be creative!